Congratulations to the following delegates on winning their respective statewide elected office at the 78th annual session of Arkansas Boys State hosted on the campus of the University of Central Arkansas. These delegates underwent a rigorous election process to reach their elected office. After being selected as their party nominee in the primary election, the candidates faced off again in a run-off election then headed to the general election against the other party’s nominee. 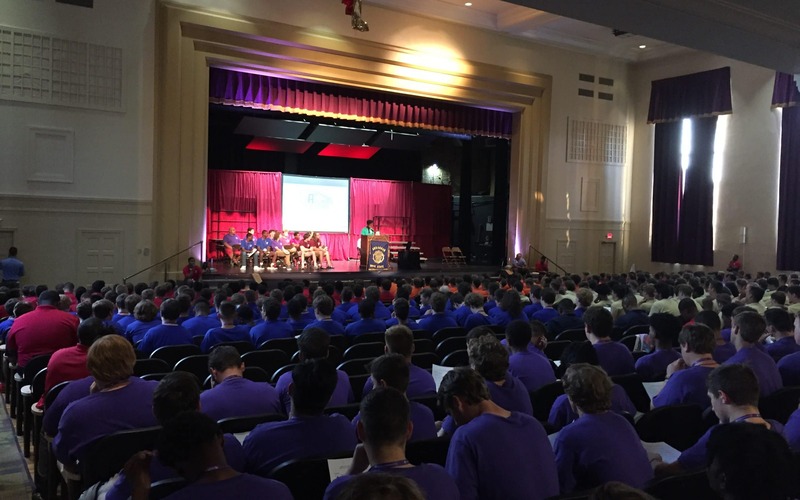 At each point in the process, the delegates gave speeches to their parties and the Boys State delegation, and the general election candidates for governor participated in a governor’s debate, which discussed issues on school safety, prison reform and the state economy. On Friday, June 1, these delegates will head to the Capitol building in Little Rock to meet with the state elected official who currently holds their office. From ceremonial tasks to making appointments, these delegates will be able to participate briefly in the life of a state elected official. The governor will have the opportunity to sign or veto any legislation that makes it through the Arkansas Boys State House and Senate.